Corn yield loss can start even before seedlings emerge from the ground. New research into how plants interact with one another at their earliest stages of development has implications for weed control and preventing yield loss from weed competition as early as the first few hours of a corn plant’s life. Though the availability of water, light and nutrients is a major primary driver for weed competition early in a corn crop’s development, new research shows processes — namely in the interactions between the crop and other invasive plant species present — at a cellular level can cause plant adaptations early on that can lead to irreversible yield loss. It’s a case, researchers and farmers say, for a “start it clean and keep it clean” approach to weed management in the early stages of a corn crop’s life cycle. Clarence Swanton has spent the bulk of the last two decades studying how corn plants communicate with weeds, and what that means to early yield loss potential. That work has yielded a new understanding of the changes corn seedlings undergo that ultimately lead to as much as 3.3 bushels/acre/day of yield loss, says Swanton, a University of Guelph weed scientist in Guelph, Ontario. Plants begin adapting as they are emerging, a fact that led Swanton and fellow researchers on a new path with their research, one that bucks previous theories on when, how and why weeds begin to compete with crops, ultimately robbing them of yield potential. It starts in the leaves of both weed and corn plants. Even before a corn seedling has emerged, it can “sense” the presence of weeds via the phytochrome in those weeds’ leaves. That green pigment in leaf tissue that helps regulate plant growth through photosynthesis gives off a specific “signal,” alerting other plants’ to its presence. And, when a corn seedling receives that signal, it begins adjusting growth patterns to protect it from that weed, and those growth patterns and resulting in permanent, irreversible yield loss. It’s that oxidative stress that leads to early yield loss. Plants produce antioxidants to counteract the “free radicals” that are created by oxidative stress. Though antioxidants are effective in knocking down free radicals this stress causes, they take a lot of a plant’s growth resources to produce. The diversion of those resources takes away a lot of energy that would otherwise go toward more normal plant growth. The result is a plant that’s irreversibly altered its growth pattern in a way that promotes yield loss later in the growing season. How does this create yield loss? Though weed competition promotes it from day-one, corn yield loss potential from weed competition often doesn’t show up until later on in the growing season. One key timeframe to watch is the anthesis-silk interval, or the time between pollen shed and silk emergence. While that time window is optimally as small as possible, corn plants influenced by the presence of weeds in the hours and days after planting often have a wider anthesis-silk interval that can influence pollination. And, the wider that interval, the more apt a plant is to see weakened pollination. It’s just one of the vulnerabilities that can show up later in the corn plant’s life and rob it of full yield potential. Though it’s most likely in the hours and days after planting, yield loss from early weed competition as outlined in Swanton’s research happens in the first month of the plant’s life, up until around the V8 stage, or when it has eight leaves appearing. Because of this early timeframe, it’s important to take a “start clean and stay clean” approach to weed control and herbicide programs. Many farmers who leverage only post-emergence herbicides delay application to maximize the reach of the treatment. 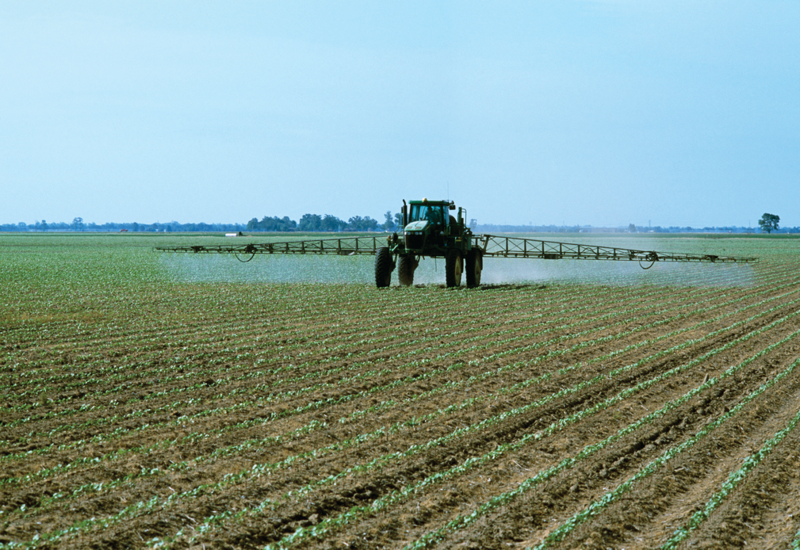 Neither strategy alone can eliminate yield loss from weeds altogether. A balanced herbicide program is the best approach to maintaining a clean environment for growing corn plants, Bollig adds. 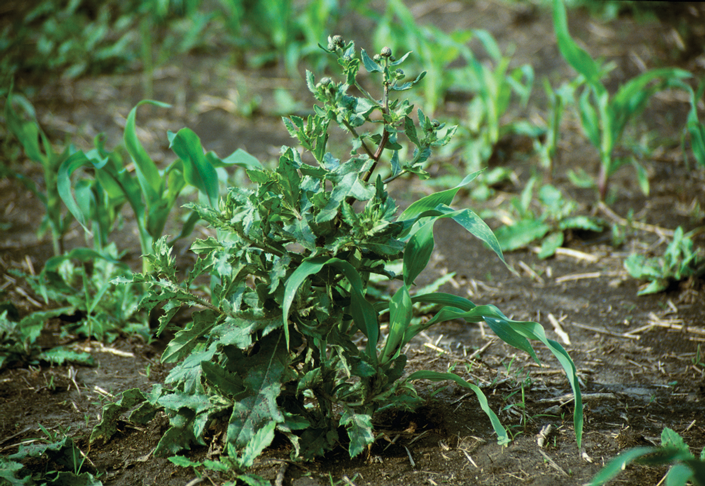 Though pre-emergence treatments can be more effective in keeping weeds from ever even emerging, they lack the consistency of post-emergence products, making them a difficult product on which to base an entire herbicide program. 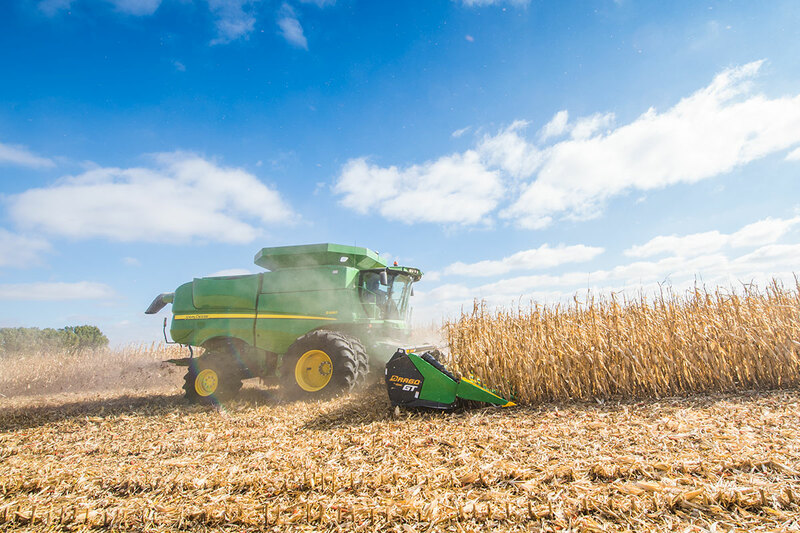 Using both strategies can help eliminate the variability that inconsistent early weed control can have later on when the combine runs. Though Swanton’s research gives hope that weed pressures may one day be a thing of the past, the variability in corn yield because of the presence of invasive species is unavoidable. Even the slightest weed presence can lead to inconsistent yields. 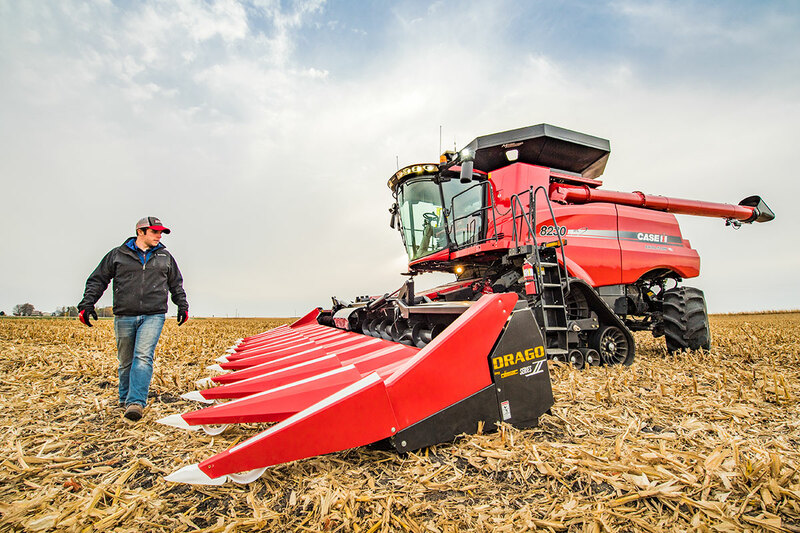 That makes it important to operate machinery that accounts for that variability in yield, from planting to harvest.